Bernie is originally from Annandale, MN. She has over 15 years experience as a competitive runner and over 2 years as a collegiate cross country coach. Her passion for helping others achieve optimal performance drove her to becoming a therapeutic massage therapist. Her technique combines deep tissue, Swedish, trigger point, sports massage, and injury rehabilitation strokes to produce lasting soft tissue release. 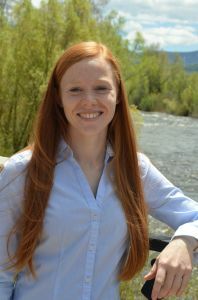 Bernie has lived in Steamboat since 2016 and enjoys spending her spare time running, mountain biking, and hiking.